It was beautiful to experience the feeling of community via choir through the eyes of Ryan’s characters. I find that, in times of war, there is a very strong push towards bringing communities together. We see this most often with tangible, practical efforts to better the day-to-day lives of those touched by the physical destruction brought by war: be it a family torn apart or the wreckage of towns. 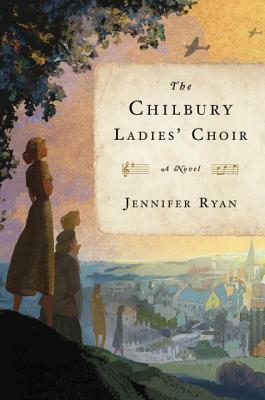 I very much enjoyed reading about the affairs and intricacies of the women of Chilbury, which didn’t always directly relate to the war or the choir, but somehow always came back to the importance of both. With the war effort being fronted by the men of the community, it was very powerful to see how their women counterparts continued with their daily lives. With war in the forefront of their hearts and minds, with brothers and sons away or killed in combat, the women of Chilbury still manage to carry on with somewhat normal lives. How refreshing it was to read through the perspective of different ladies in such different stages of life: from the younger generation, through Kitty and Venetia, to the older generation, through Ms. Paltry and Mrs. Tilling. I was particularly enthralled with Mrs. Tilling’s character. To experience and grow with her was a real treat. I honestly found myself snickering and smiling every time we switched to her perspective. If Jennifer Ryan came out with “The collected diaries of Mrs. Tilling”, I wouldn’t be mad! My toes are pruney and I’m dipping the rest of my feet and legs into the historical fiction waters. Thank you, Jennifer Ryan! I received an ebook of this novel from Blogging for Books in exchange for an honest review.